With Nagios, you’ll never be left having to explain why an unseen infrastructure outage hurt your organization’s bottom line. The Nagios product line delivers outstanding value to thousands of organizations worldwide. organizations to identify and resolve IT infrastructure problems before they affect critical business processes. 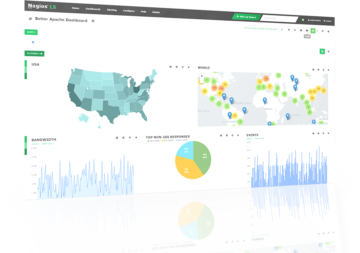 Our powerful enterprise-class log monitoring, management and analysis application that allows organizations to quickly and easily view, query, and analyze logs from all machine-generated log data. 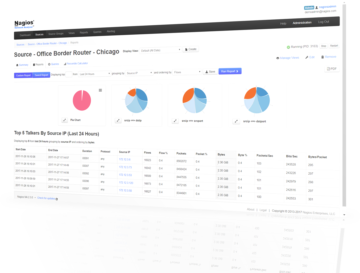 Log Server is designed to analyze, collect, and store log data based on custom specifications, and provide users with insight into all the data on their network’s infrastructure in one centralized location. Nagios Log Server provides users the ability to quickly and easily search and analyze all types of log data from one location. Users can then easily drill down to specific problems enabling faster problem resolution and event correlation across an entire network infrastructure. 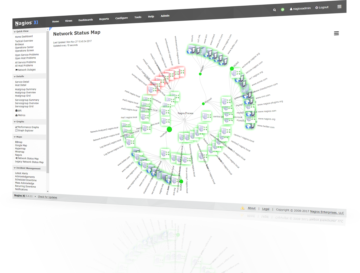 Our commercial-grade network flow data analysis solution for providing organizations with a view into all network traffic. Network Analyzer allows you to be proactive in resolving outages, detect abnormal behavior, and uncovering security threats before they affect critical business processes. Nagios Network Analyzer provides network traffic and bandwidth information for your entire IT infrastructure, making it easier for teams and individuals to ensure that systems, applications, services, and business processes are functioning properly. 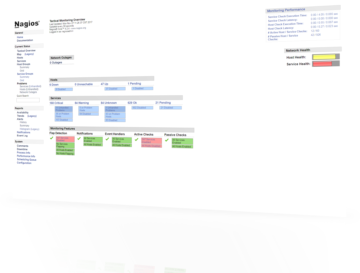 Our solution for visualizing operational status and enabling faster problem resolution across an organization’s entire IT infrastructure. 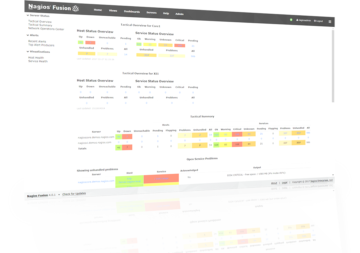 Nagios Fusion provides organizations with the ability to quickly identify and solve problems on an infrastructure-wide basis before they affect critical business processes. IT operations staff use Nagios Fusion to gain insight into in the health of the organization’s entire network through a centralized view of their entire monitoring infrastructure, enabling faster problem detection, event correlation, and resolution. Nagios Core is the industry standard in IT monitoring software. The highly awarded Nagios Core engine has been the defacto standard in network infrastructure monitoring for over a decade, providing unparalleled performance and flexibility, it’s no wonder we built Nagios XI using Nagios Core as a fundamental core component.